Since I began this blog back in 2012, my style has changed quite a bit. I used to feel pressure to post something new and exciting every other day, no matter if it was properly tested or something I would enjoy eating even after the fact, and it has just been within the last year that I’ve really reevaluated that way of thinking. 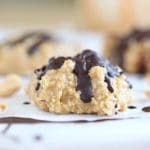 I want this blog to be a collection of the recipes that my family and I not only love and enjoy, but meals and desserts that we (myself in particular) want to make again and again. 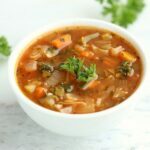 I’ve recently edited the recipe page to show just that, so if you see a few missing posts, the reason is that I felt they need retesting or just didn’t make the cut of recipes I would want to eat again. I wouldn’t call anything I’ve posted in the past ‘bad’, I just got a bit overzealous in wanting to post, post, post, no matter what it was. I hope this all makes sense and that you all understand! 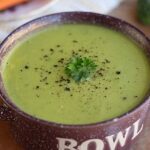 Again, anything that is on the recipe page currently is delicious, full of nutrition and goodness, and a recipe my family and I would repeat. Today’s little ditty is nothing new, but I just wanted to share my way of making it. Low carb, low calorie, veggie-based pizza! Place the eggplant rounds onto a clean dish towel. Lightly salt each side of the eggplant rounds. Let them sit on the towel for 15-30 minutes to 'sweat' some of the water out. Press down on the eggplant slices with the towel to squeeze out some of the water. Spray each side of the rounds with an oil spray (I use a Misto for this step). Place the rounds onto a parchment paper-lined baking sheet. Remove the pan, and top the rounds however desired (sauce, cheese, vegetables, etc.). Place the pan back into the oven for about 10 minutes, until toppings have cooked through. 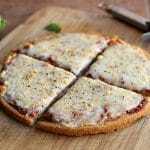 A blog buddy recently called me the ‘queen of pizza’ when I posted this 5-Ingredient Quinoa Pizza recipe, and I have to admit, I kind of enjoy that caption. I grew up in a family where we either ordered or made pizza at least once a week. My dad made the BEST pizza, along with his own homemade sauce that I wish I could have gotten the recipe for before he passed. Those memories and his passion instilled in me a love for the Italian pie that has me craving it quite frequently. While I can have wheat and gluten, I love making healthier crusts from more nutritious ingredients that will suit other members of my family. 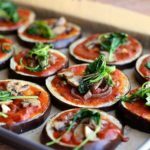 We enjoyed topping these with this Homemade Pizza Sauce, caramelized onions, sautéed mushrooms, wilted lemon-y kale, and nutritional yeast. Part-skim mozzarella, parmesan, and soft goat cheese are delicious options as well, if you eat cheese. 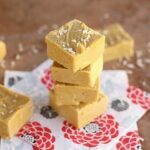 However you make these, they are a delicious, low carb, low-calorie alternative to the traditional version! I’m sorry, I don’t know! I made these tonight for my family – 4 kids who are 10 and under. It was a Hit! And that is saying something when all 4 kids like it! Yay, that’s great Michelle, thanks for the comment! Just beautiful and delicious! Thanks so much for sharing with us at Full Plate Thursday. Have a great weekend and come back soon! 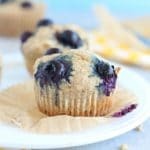 these are so tasty looking,,,and they’ll work for my low carb lifestyle! 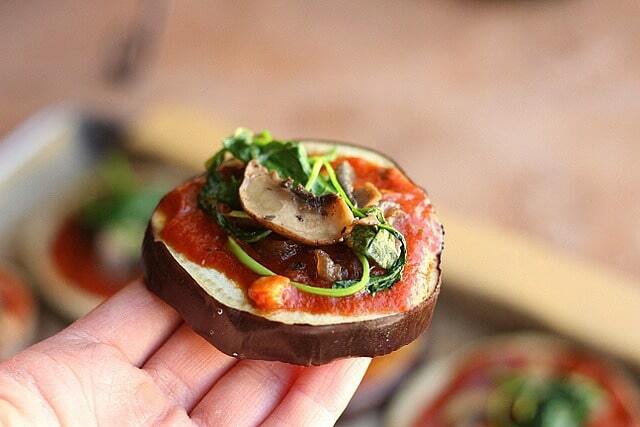 These mini pizzas look awesome. Pinning now. 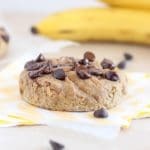 I totally did the same thing this weekend with my recipe page 🙂 this looks delicious! 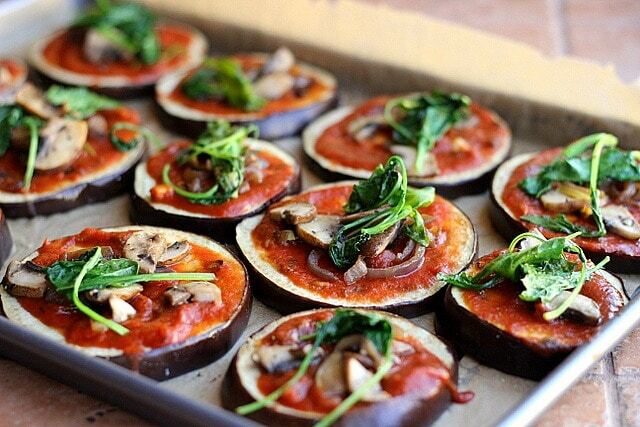 I love eggplant pizzas. Love this idea girl! I cannot wait to try this out! I felt the same as you when I first started blgging, maybe it’s time I do some recipe index editing as well! Now I post what I’m completely happy with and don’t feel compelled to post everyday or at times even every week. We need to do what is right for us in the end! I love this idea! I’ve been experimenting with low carb eating lately because I feel that as a vegetarian my diet tends to be quite carb heavy. 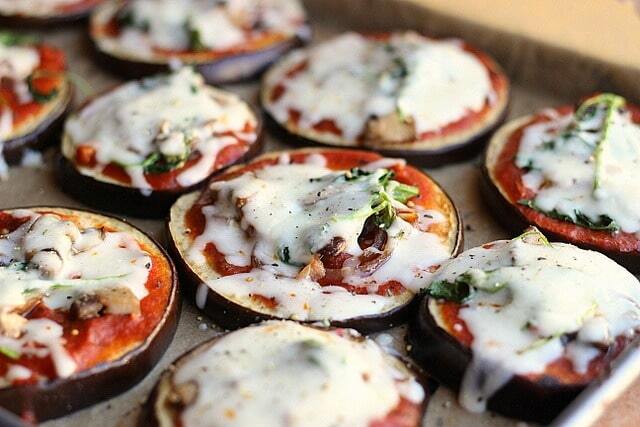 I love eggplants, and pizza, and so this is the perfect combination. 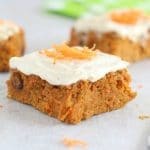 Will definitely be making these asap! These pizzas are so creative! AND they look so tasty, healthy, and fresh! I really like this idea, I’m going to have to save this recipe. Thanks for sharing! Yum! I love pizza because you can make it different every time. My family also regularly makes pizza at home, and host a monthly pizza party for friends to come and make their own pizzas. I make a roasted garlic crust that is awesome. When making pizzas for myself, I like to try interesting crusts. I haven’t tried the cauliflower crust yet and will be trying the quinoa crust this weekend after I restock my supply. 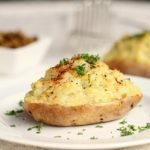 It is a great way to use up little bits of things in your refrigerator. 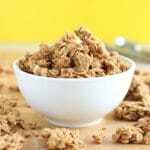 I am new to your blog and am enjoying it very much. 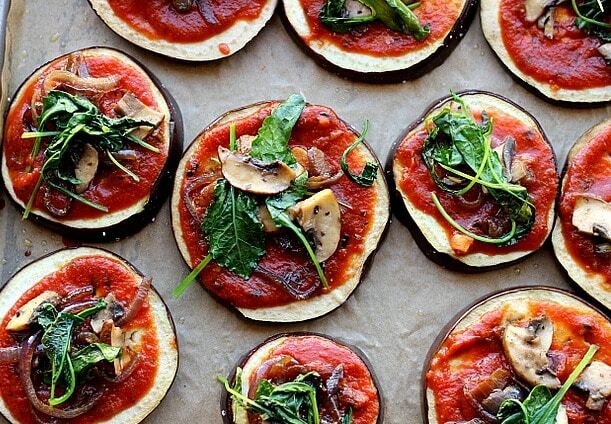 These look lovely, my son loves pizza toppings on aubergine slices!